Three people suffered non-life threatening injuries after the driver of a log truck in Lavalette WV lost control of his truck and overturned. Two children were hit by the log truck as they were exiting their school bus on March 4 at 4 PM. The log truck also hit a minivan that was parked along 5th Street Road on West Virginia 152 in Lavallette. The West Virginia State Police stated that there were several people in the minivan, but only the driver was injured. Witnesses reported that the log truck was going southbound and ran off the right side of the road and overturned as it attempted to avoid hitting the stopped school bus. Our truck accident attorneys in Virginia Beach and in West Virginia are glad that no one was more seriously injured in this log truck accident. All commercial truck drivers should be familiar with the commercial driver’s manual for their state. The VA CDL Manual states that ‘driver too fast is a major cause of crashes and fatalities.’ Commercial truck drivers are obligated to adjust their speed to suit local conditions, including weather, load and the type of road they are driving on. The VA manual also notes that total stopping distance is made of up three things: perception distance, reaction distance, and stopping distance. 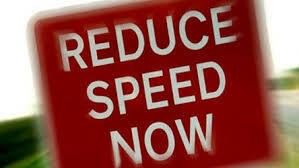 A big rig or fully loaded log truck traveling at 55 MPH would take at least four seconds to stop in normal conditions. On a local road where school buses stop, there is no excuse for driving so fast that the truck driver cannot stop safely. Our experience as truck accident personal injury attorneys in Virginia and West Virginia has shown us that truck drivers all too often drive too aggressively and cause serious trucking accident that maim and kill innocent people. This case involved a truck driver rear ending our client, which caused serious injuries to two children. We settled the case for $5.5 million.